Is One Set Better Than Multiple Sets in a Workout? Some trainers recommend doing anywhere from three to five strength-training sets for maximum muscle gain, while others say that one set per exercise is just as good as two or more. The right answer depends on you and your goals. If you're really going for strength gains, muscle endurance, and muscle growth, multiple sets have an advantage. But one-set workouts work well for many people. The conflicting opinions about how many sets is best stem from the overload principle. Research suggests that, in order to gain strength and size, you have to push your muscles beyond their present capacity. Some experts argue that it doesn't matter if you fatigue your muscles in one set or several sets, as long as your muscles experience a sufficient level of exhaustion. Others equate more sets with greater gains. Study results, as well as recommendations, have changed through the years. A landmark 1998 study found that there was no significant difference in strength or muscle mass as a result of single versus multiple sets. This was followed by a 2002 study that concluded that trained exercisers get more strength gains out of multi-set training. These different studies suggested that beginners can get solid strength and muscle gains with one-set training if they are challenging their muscles with enough weight, but that people who are experienced with weight training may need more sets to improve in this regard. Further studies have added more light to this area of controversy. 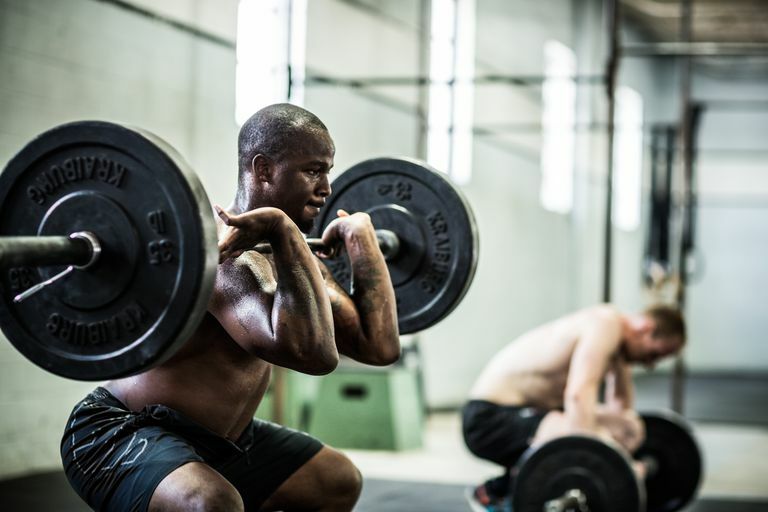 A 2009 study found that two to three sets per exercise was associated with a 46 percent greater strength gain than one set in both trained and untrained subjects. A 2010 study showed a similar gain in muscle growth in trained and untrained subjects who completed multiple sets. Finally, a 2015 study looked at one, three, and five sets of exercises and found that multiple sets were better with regard to strength gain, muscle endurance, and upper arm muscle growth. Great for beginners: It's the perfect way to start learning how to do exercises with good form while avoiding overdoing it. Faster: It takes less time to do one set of each exercise as opposed to three or more sets, so you can more easily squeeze in a workout. Easier to stick with: You are more likely to keep up with an exercise program when you don't have to spend hours at the gym. Plus, not repeating an exercise over and over can help decrease boredom. Flexible: You can easily change your workouts by substituting new exercises when you get tired of the old ones or when your body stops responding. If you decide to go with one-set training, you do have to work a little harder to make sure you get the most out of each and every rep. Warm up: Get your muscles ready by doing at least five to 10 minutes of cardio or by doing light warm-up sets of each exercise. Stay focused: Take your time during each rep and focus on the muscle that you're working. Do every single repetition with perfect form: no jerking, bouncing, slumping, or cheating. Use heavy weights: To fatigue your muscles, you should be lifting enough weight that you can only complete the desired number of repetitions (somewhere between eight and 15). If at the end of your set you can keep going, that's a sign that you need to increase your weight. Go slowly: Using momentum means that you're not recruiting all of your muscle fibers. For each repetition, count to four during the lifting and lowering phase of the movement. Think maximal effort: Remember, you're only doing one set, so go all out while staying within your own limitations and capabilities. Rest: Rest at least one day between strength sessions. Krieger JW. Single vs. multiple sets of resistance exercise for muscle hypertrophy: a meta-analysis. J Strength Cond Res. 2010;24(4):1150-9. Krieger JW. Single versus multiple sets of resistance exercise: a meta-regression. J Strength Cond Res. 2009;23(6):1890-901. Radaelli R, Fleck SJ, Leite T, et al. Dose-response of 1, 3, and 5 sets of resistance exercise on strength, local muscular endurance, and hypertrophy. J Strength Cond Res. 2015;29(5):1349-58. Carpinelli RN, Otto RM. Strength training. Single versus multiple sets. Sports Med. 1998;26(2):73-84. Rhea MR, Alvar BA, Ball SD, Burkett LN. Three sets of weight training superior to 1 set with equal intensity for eliciting strength. J Strength Cond Res. 2002;16(4):525-9. Should I Do Compound or Isolation Exercises If I Want to Get Stronger? Are Your Exercise Goals Realistic? Here's How to Set a Goal You Will Meet.